Wrap up warm this winter with a stylish black poppy scarf. Measuring 180cm x 80cm, that’s ample scarf to tie around your neck, or wrap around your head to keep your hair in place in the Wellington wind. 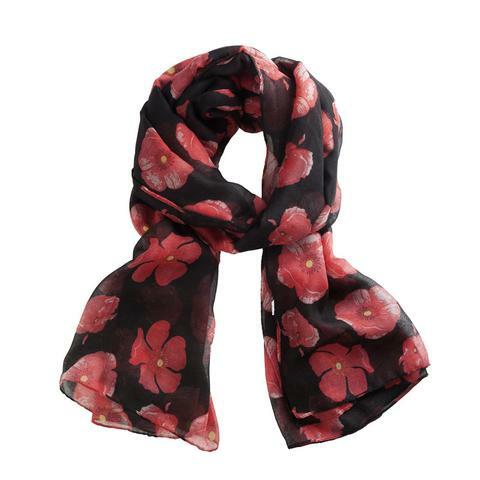 Brighten up your black Wellington uniform with this eye catching black scarf sprinkled with red poppies. The red poppy is a symbol of war remembrance the world over, but in New Zealand it holds special significance for the Anzacs. Lest We Forget. 100% Polyester. Also available in white and navy.